Once you arrive all you need to do is give us a call and one of our staff will come to collect you for fitting at the shop. This makes things easier and more relaxed to begin your holiday and easier in the morning if you want to head straight out to enjoy the Hakuba Snow. We offer complimentary pickup anywhere between Tsugaike and Goryu to make it easier for you to maximize your holiday free time whilst you are visiting. As Hakuba is quite a large area, if your accommodation is in the Happo One or Echoland areas, please allow 15-20 mins for one of our staff to get to you. For those accommodations outside of these areas (ie Tsugaike and Goryu) please contact us at least 30 mins before you would like to be collected. Once we receive your call , one of our friendly staff will give you an estimated time of arrival to your accommodation depending on availability of the pickup vans. Call and let us know where you are staying and how many people need equipment. Our staff will let you know the soonest possible time for pickup. 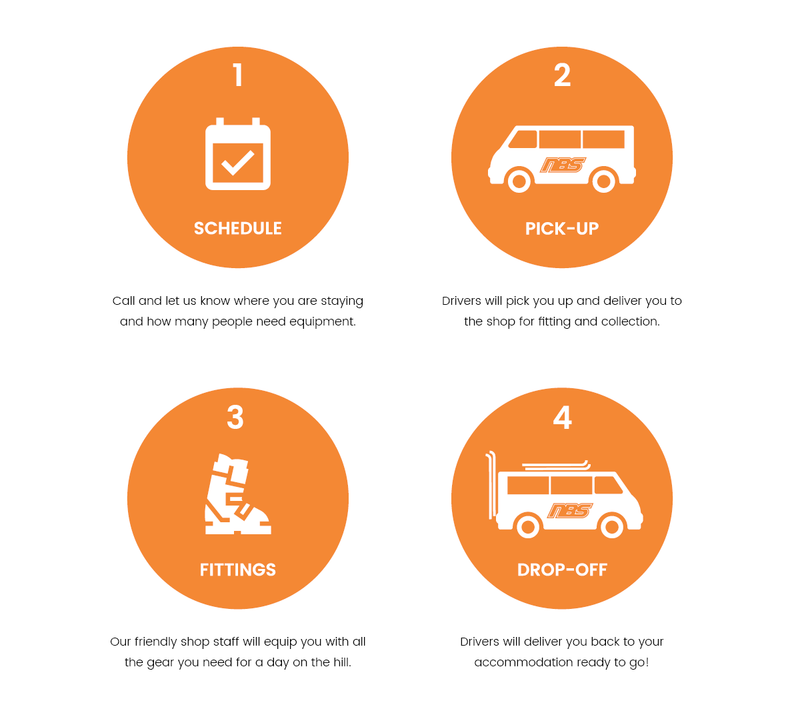 Drivers will deliver you to the shop for fitting and collection and then drop you back to your accommodation ready to go.